The Northville Community Ice Rink is a public ice rink open 7:00 AM to 9:00 PM. Weather permitting the rink opens mid to late December and stays open until around April 1st. 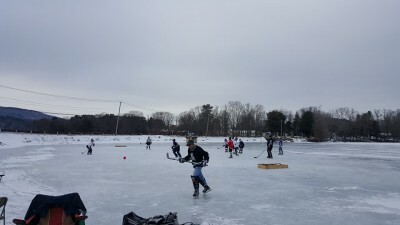 The rink is located on grounds owned by the Baptist Church of Northville and run by a group of volunteers.